A controversial East London mayor was “brainwashed” by Islamic fundamentalists prior to running for office, the High Court has been told. 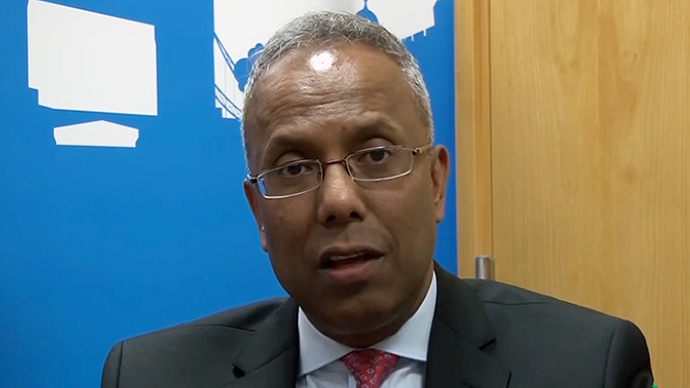 The claim surfaced during a legal challenge directed at Tower Hamlets Mayor Lutfur Rahman over corruption and electoral fraud allegations. Rahman was re-elected as mayor in the East London borough last year, but stands accused of rigging the election. He strongly denies the allegations. The former lawyer was previously a member of Labour but was forced to leave the party following the tide of controversy. A local Labour politician, Helal Abbas, told the High Court he believed “fundamentalists” had used Rahman. Abbas told the judge that Rahman had been hijacked by the Islamic Forum of Europe (IFE), an organization financed by Saudi Arabia. Previously, Abbas warned the Labour Party that the political climate in Tower Hamlets changed drastically after Rahman’s tenure as mayor began in 2010. He said an environment of fundamentalism set in, whereby Muslims who failed to pray were intimidated. Abbas told Labour the IFE sought to infiltrate influential organizations in Britain in a bid to promote an Islamic way of life. He suggested Rahman had been brainwashed by fundamentalists in the organization who were using him to gain influence over the Labour Party. The Saudi-funded IFE had reportedly channeled a considerable amount of money into Tower Hamlets' mosque. Abbas told the High Court on Wednesday he had been accused of colluding with the English Defence League (EDL) – a group regularly accused of Islamophobia. The Labour politician said the allegations were made at a meeting in a mosque attended by Rahman and a large group of young Muslims. Abbas told the judge he subsequently received death threats. “I was getting at least three to four quite abusive, threatening phone calls from withheld numbers,” he added. He claimed police informed him at the time his phone number had been handed out during the meeting at the mosque in Tower Hamlets. A senior police official subsequently reneged on his claim Rahman had attended the meeting, after the East Londoner was re-elected. 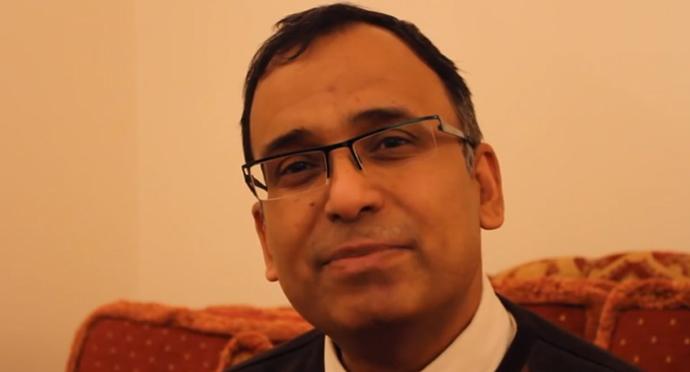 The legal challenge against Rahman was put forward by four Tower Hamlets voters under the provisions of the 1983 Representation Of The People Act. The group is headed by Andy Erlam, who previously stood as a Tower Hamlets councilor, and has an interest in anti-corruption. Following Rahman’s re-election last year, the group put forward a petition demanding the electoral result be voided. On Monday, the High Court heard Rahman had embarked on a lengthy campaign of “intimidation, corruption and fraud” in a bid to bully his way into a position of power. The claim against Rahman, which is due to hear evidence from over a 100 witnesses, alleges voters in Tower Hamlets were harassed, canvassers were financed prior to the 2014 election and prospective voters were bribed with free lunches. Speaking to the court, Abbas also accused Rahman of rigging a petition calling for the creation of a Tower Hamlets mayoral role. Abbas said signatures had been collected in an East London Mosque on a fraudulent basis. He said people were misinformed that Jim Fitzpatrick, a local Labour MP, was planning on passing anti-Islamic legislation and asked to sign a petition to prevent this. Without the signatories’ knowledge, however, they had been duped into signing a petition to drive Rahman’s mayoral campaign, Abbas said. Remember Lutfur Rahman was one of Labour's, is supported by Red Ken and George Galloway. Democracy my arse. The petition sparked a referendum, which resulted in the mayoral system being adopted in Tower Hamlets. Rahman became mayor in 2010, and subsequently set up the Tower Hamlets First party. He ran again in 2014. Randal Smith, a member of the Labour Party, told the court he witnessed the opening of postal votes in May 2014. He said “a disproportionate number of postal votes” had been received from the Tower Hamlets district of Weavers Ward. “It was also remarkable how the postal votes in Weavers were so lopsided in favor of Tower Hamlets First,” he added.